A national speaker on writing in general and romance in particular, Gideon is a Western Michigan University honors grad with a major in journalism and minors in history and communications. 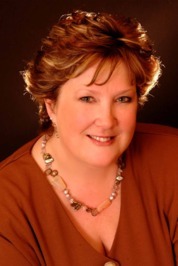 She’s a member of Novelist, Inc. and the Mid-Michigan, Greater Detroit, PASIC and FF&P chapters of Romance Writers of America®, and is former vice-president, published author co-liaison and award-winning newsletter editor for MMRWA. A prolific writer, Gideon attributes her creative output, which once peaked at seven novels in one year, to her love of history and a gift for storytelling. She also credits the discipline learned through a background in journalism and scheduling writing time around diaper changes, Scout meetings, band lessons and outings to the Zoo Boo . . . and, of course, OCD. The due date for her third book and her second son were on the same day . . . and both were early! When on deadline, she turns on the laptop between 4:30 and 5:00 a.m. to get a chapter in before work. Pseudonym's, Rosalyn West and Dana Ransom. HP: I know you have a new book coming out this month but before we get to book talk, can you tell us a little bit about yourself? Nancy Gideon: Aside from my 50+ book career, I’ve also worked full time as a legal assistant for the past eleven years, coming back into the work force after a 15 year absence to raise two sons. Now I’m a doting grandmother who’s addicted to Netflix, loves to cook but has no kitchen to speak of in my apartment, and is a sucker for all things fur, feather and fin (and have raised and fed them all, including a yearly family of raccoons on my 4th floor balcony!) At the moment, I’m trying to catch up on the Social Media craze with a new blog. Check it out at http://nancygideon.blogspot.com. HP: What is your favorite quality about yourself? HP: I know you said one of your favorite parts of writing was research, Do you ever travel for research? If so, what is your favorite place you have traveled and why? Nancy Gideon: I have a journalism major and history minor so I LOVE research. I’ve written many books based on places I’ve been, but the only place I specifically went to do research was to New Orleans for my By Moonlight series. I’d been there for several conferences and had gotten a taste for its laissez les bon temps roller style, but last April two of my critique partners and I rented a condo in the French Quarter for a week and really had time to explore and get a feel for the people, the atmosphere and the culture. Check out my travel diary on the Pocket After Dark website. I can’t wait to go back. It’s wonderfully exotic, just like Charlotte, my heroine. HP: Do you recall how and when your interest in writing originated? Nancy Gideon: I’ve always been a storyteller and an avid reader of anything in print, but the minute I saw my name in the sixth grade newspaper under a fractured fairytale based on Cinderella, I knew all I wanted to be was a writer. HP: You write in a lot of genres but do you have a genre that you are more comfortable in? 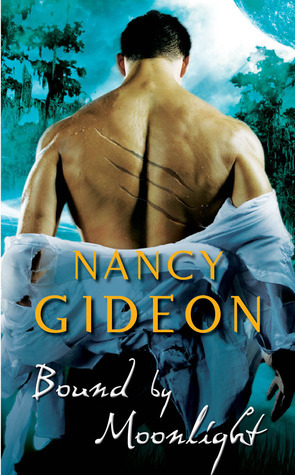 Nancy Gideon: Anything with action and adventure! I love a plot that races along like a rollercoaster from page one to page end with larger than life characters, a touch of suspense and a happily-ever-after. That’s why I write romance. The options are infinite. HP: What genre are you least comfortable in? Nancy Gideon: Straight romance makes me twitchy. I love the added elements of suspense, paranormal, and adventure. I did an early contemporary for Zebra where my hero and heroine were alone on an island resolving their relationship problems. I was the one going stir crazy and ready to risk life and limb in a swim to shore to escape them. HP: Did writing your first book teach you anything about yourself? Nancy Gideon: That I had a LOT to learn. When I started out, I didn’t know any other writers. This was before the Internet, and my only connection to the publishing world was the Fiction Writers Market at the local library. Looking back on how ignorant I was about both the craft and the business, I’m amazed I got published! Nancy Gideon: Along with its serial killer storyline, Bound by Moonlight concludes Max and Cee Cee’s four book romance arc. They had a lot of baggage to take care of, from being on opposite sides of the law to being from two different species. Book 4 digs deeper into their pasts, and what they find there together allows them to get beyond it to that happily-ever-after they’ve been struggling to obtain. I’ve taken a wonderful and unique ride with them and hope readers have enjoyed it. This book delves deeper into the Shifter mythology and introduces the two main characters for the next book, Hunter of Shadows (11-29-11). Max and Cee Cee will appear as strong secondary characters in Books 5 and 6 (7/12) so they aren’t ready for retirement yet. HP: Can you tell us about your By Moonlight series in general? What was your inspiration for the series and your two main characters Charlotte and Max? Nancy Gideon: The series started out as a simple werewolf tale over ten years ago that never found a home. When I pulled it back out, it needed to be totally refitted for the modern reader. That simple werewolf story quickly morphed into a huge world containing a Shifter hierarchy, heroes and villains in both human and paranormal realms, and secondary characters I couldn’t wait to bring to life in their own books. Max and Cee Cee are both incredibly strong yet vulnerable characters who are total opposites in all but their swoon-worthy love for one another. They could handle anything I threw at them and dish it back, and what began as one book, expanded into four. I was so lucky Pocket and my editor took a risk with that concept which is common in Urban Fantasy but very rare in Paranormal Romance so I could develop it. HP: Who designs the Moonlight and Midnight covers? Nancy Gideon: My Midnight vampire covers for ImaJinn were designed by one of my critique partners, Pat Lazarus who now is doing covers for Tell-Tale Publishing and also freelances. She did lots of the graphics on my website as well, and is tremendously talented. With Pocket, I was thrilled to participate in the cover process. Associate Art Director Min Choi, whom I just met on a tour of Simon & Schuster in New York in June, took my suggestions for the series theme and made them almost too hot to handle on four linking covers. The next By Moonlight book, Hunter of Shadows, which comes out November 29, 2011 has a different tone because it features a different hero and heroine. All in all, I’ve been blessed by the covers gods! HP: How important do you think villains are in a story? Nancy Gideon: A novel is only as good as its villain. Rudger Hauer said of his beautifully villainous character in the Stallone movie Night Hawks that true evil is attractive which makes it all the more terrifying. I try to give my villains reasons for their action (maybe not rational reasons, but understandable nonetheless) so you can almost empathize with them. Almost. Some of my favorite heroes came from villain stock. HP: Who is your favorite author and why? Nancy Gideon: Dean Koontz, hands down. He pulls me right in from page one so I’m living his stories right alongside his marvelous characters. Every time I travel, I take one of his books along for the trip there and back. Other favorites are Lisa Gardner and J.D. Robb. Action, adventure, suspense. Nancy Gideon: Thanks for hanging in there! I’m still amazed by how many readers remember my early books under the different pseudonyms. Now with e-books so prevalent, maybe I can give them those final books in the series that they’ve been begging for. Everyone needs closure. Fans can keep up with what I’m doing on Facebook, Twitter and my blog, or on my website at http://nancygideon.com. I love you guys! HP: Looking back on all of your books is there anything you would change about them? Nancy Gideon: I still enjoy reading all of my old books and am very proud of them. For the early ones, I wish I’d had the technology I do now. I wrote the first six in long hand then typed them up on a Smith Corona using correction tape! I can compose and edit so much easier these days via computer. Launch party for BOUND BY MOONLIGHT with interview, chat and giveaways at Literal Addiction on 7-26-11.